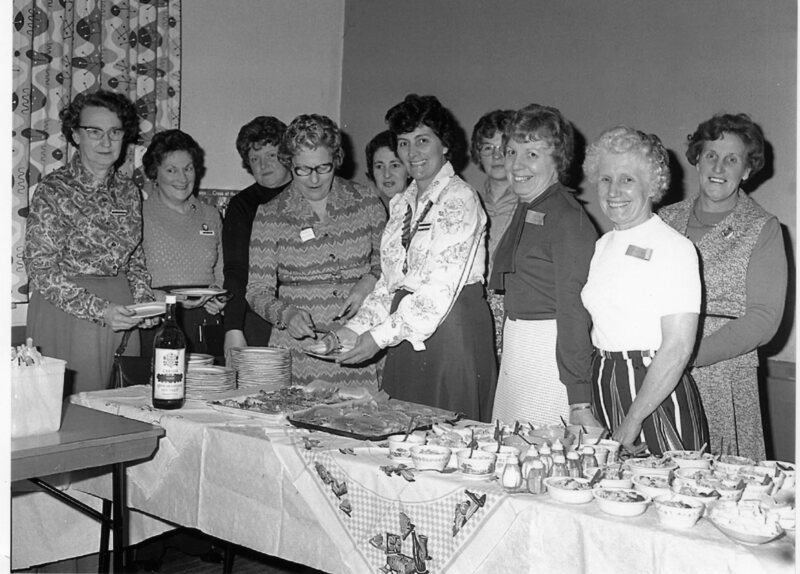 Among those pictured: Mrs. Eileen Boyce; Mrs Edna Taylor; Mrs Dessaur (in the white top); Mrs. Susie Lister. Can you help in identifying the other ladies? This page was added on 02/04/2007. The lady at the front wearing a stripey suit & spectacles is possibly Marcia Christmas (Harris then Taylor). The lady could be Mrs. Kath Newton, she was married to Harry Newton and lived in Easthorpe,they had one daughter Gillian. Many thanks for the name suggestions. I also wondered if it was Mrs Mary Morgan who was the President during the 1970s.